With the simple tagline of "If you wouldn't take it on the ground, don't take it in the air", JetBlue has been attempting to differentiate itself from its competitors. The ads which are clearly YouTube-ready are simple and challenge some of the unpopular airline policies which many travellers complain about - simply by transferring them to the random chore of taking a NY taxi or buying a soda. 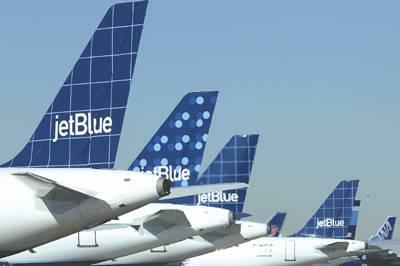 It really makes you think about what we put up with in the air, and JetBlue is positioning itself as the clever and reasonable alternative to the other airlines, in a fun way, using the amusing and totally relatable reactions of real people caught on hidden camera. Having never travelled on Jet Blue, I really cannot speak to their service but their ads are classic and the Asian guy in the taxi ads is brilliant. My winner today!